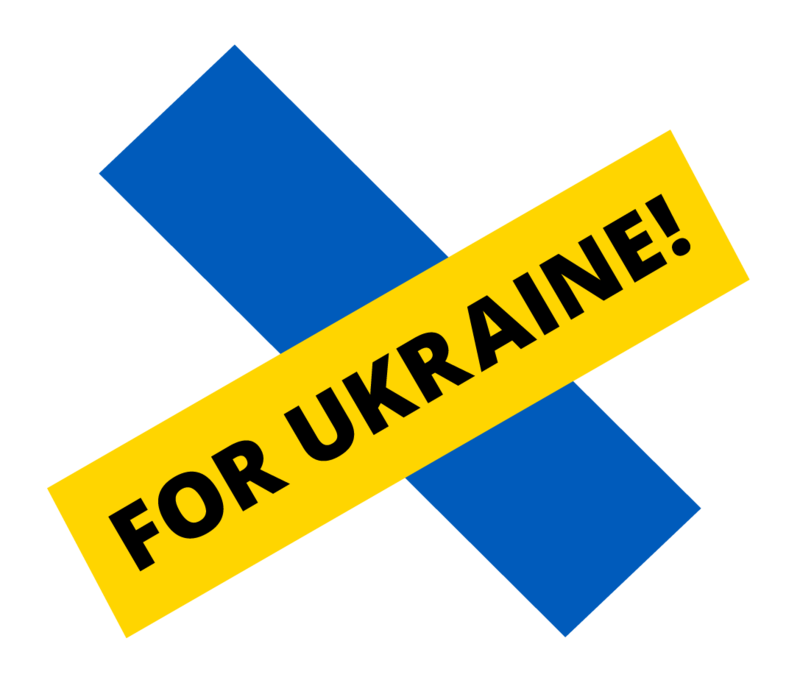 Supporting refugees in three oblasts | For Ukraine! Estonian Refugee Council collects donations to support internally displaced people (IDP) in the Luhansk, Donetsk and Zaporizhia oblasts where there is need for food, hygiene products, medicine, blankets and other essentials. For further information on this project, please read the full project description below. Donations are welcome to the bank account of the Estonian Refugee Council. At the end of November, the Estonian Refugee Council implemented the first phase of its humanitarian aid programme by providing essential medicines and non-food items to IDPs in the cities of Zaporizhia, Melitopol and Dnipropetrovsk. A total of 160 medical packages including 23 different items were distributed to IDP families living in collective centres. In addition to that, 120 packages with children-specific medicines were distributed to families with small children. IDPs were also equipped with diapers and hygiene products, blankets and bed linen, and winter clothes and shoes for children. Elderly people and people with chronic diseases received additional medicines for their particular needs. In December, the second aid delivery took place, whereby IDPs in the city of Berdjansk were given necessary medicines, hygiene products and clothes-shoes. In addition, IDP children were given candy bags for the celebration of St Nicholas Day. January saw the thrid aid delivery, mainly to the city of Berdjansk and to lesser degree to the city of Zaporizhia. Hygiene products, warm blankets, bed linen, towels, children's food, shoes and clothes were delivered to 70 refugee families in Berdjansk. Every family also got a medical package with simple seasonal medicines. The main IDP accommodation centre was equipped with electrical stoves and water boilers. The new IDP centre of the city of Zaporizhia (built and governed by the UNHCR) received pillows for the internally displace people. In February, Estonian Refugee Council delivered medical supplies to four Mariupol hospitals. Aid was requested by WHO and lists of necessary equipment and medicines were compiled together with hospitals. Delivery included medicines like antibiotics, painkillers and anti-inflammatory drugs, also medical supplies like cotton, syringes, cloves and bandage. Depending on the needs of the hospitals, glucometers, blood-pressure monitors and surgical equipment were also delivered. Delivery was made thanks to the support from the city of Tartu. In February and March, aid was delivered to Vilnyansk, Pology, Rozovka, Hulyajpole, Berdjansk and Melitopol in Zaporizhia oblast, and Severodonetsk, Plotina and Bolotennoe in Luhansk oblast. Deliveries included food, medicine, hygiene products, bed linen, clothes and shoes for children, and also kettles. Families with children were prioritized. In April, Estonian Refugee Council delivered humanitarian aid – 700 food, 700 hygienic and 100 diaper packages, also simpler medicines – to cities and villages located near the crisis area in Luhansk oblast. 15 families were helped with special medicines, and medical packages were delivered to internat school in Shchastya. Medical equipment was delivered to Mariupol Emergency Hospital and food packages to 20 families in Vassilivka. At the end of April, additional 600 packages of food and 100 packages of hygienic products were delivered to towns in Donetsk oblast (Volnovahha, Zhelanne, Novoselivka, Ocheretyne, and Pesky). By April 17, 2015, the Estonian Refugee Council has gathered 34 876 euros in donations. We thank all good people who have donated! In addition to donations, Estonian Refugee Council has received 20 000 euros from the Estonian Ministry of Foreign Affairs and 10 000 euros from the city of Tartu (earmarked for supporting hospitals in Mariupol). So far 54 458 euros have been used for providing humanitarian aid in Ukraine. supplying hospitals located in conflict areas with medicine and other medical supplies. Since January 2015, Estonian Refugee Council employs three local people on the ground and carries out frequent monitoring missions to crisis affected areas. Aid is delivered in person by employees of the Council, in cooperation with local town councils, local branches of Red Cross and/or Ministry of Extraordinary Situations. Eestlaste kogutud annetuste eest osteti ravimeid lastele, naistele ja vanuritele. Kaheaastane põgenik Denõss on invaliid, tema ema annab olukorrast ülevaate Kristina Kallasele. Kahe lapse ema Zaporižžja põgenike keskuses. Kristina Kallas jagab põgenikele ravimikomplekte. Need aitavad kodu jätnud inimestel talve üle elada. Abipakettide saajad kirjutati üles ja nad andsid vastu oma allkirjad. 16-aastane noor ema tuli Zaporižžjasse koos beebiga kriisikoldest Donetski oblastist. Kokku on linnas põgenikke ligi 20 000. Põgenikud on enamasti naised, lapsed ja vanurid. Väike poiss on leidnud peavarju Zaporižžja ühiselamus.